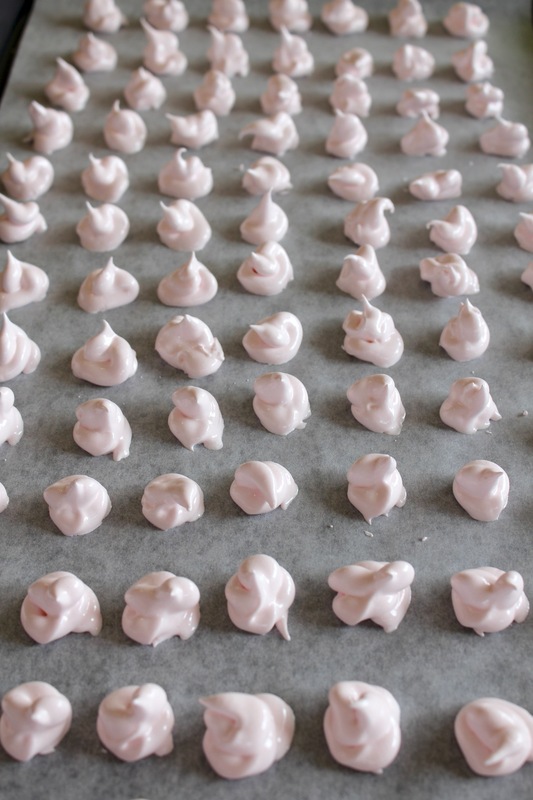 Rose water meringues | Hey Bernice! It’s recently come to my attention that I’m quite confident when it comes to savoury cooking, but I have lost my way with the sweet stuff. Back in my Hotel Management days (when I spent a third of my studies in the kitchen, mastering the finer culinary techniques) I was capable of turning out most recipes placed in front of me…. it’s fair to say I am a little out of touch now. One of my new year resolutions was to get my confidence back when cooking sweets… especially some of the more difficult ones (They are defined as difficult for me when they require precision… it’s not one of my strong points in the kitchen). Things like pavlova, creme caramel, fondant, souffle, pastries. I want to become the dessert queen! There you go, I’ve said it now – so look out! The first on my list to master was the pavlova. I am very embarrassed to admit until 18 December , 2011 (yes, 2 months ago!) I had never cooked a pavlova! My mother is famous for them, and I have been cooking and entertaining for around 20 years… and never pumped one out of my kitchen. My first one was a little flat. The second time I got adventurous. 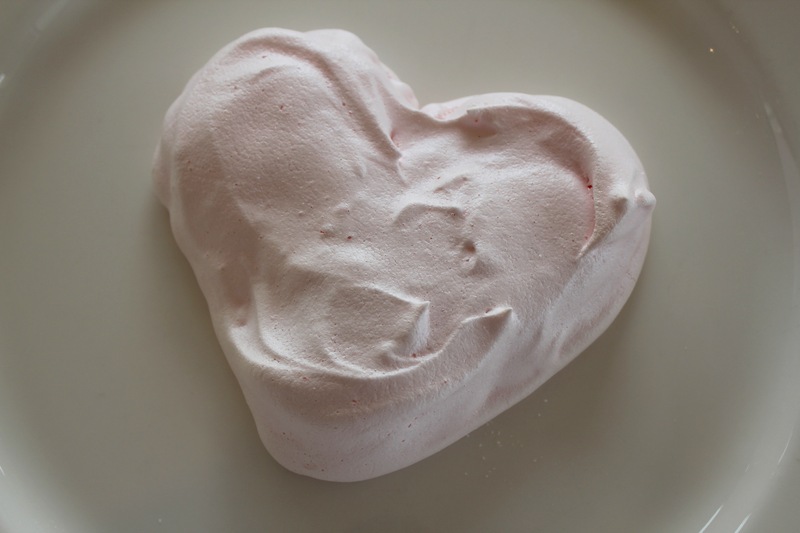 I added rose water and red food colouring, and made individual, light pink pavlovas with cream and rose water strawberries on top – that was a month ago for Australia day… and they were a hit! 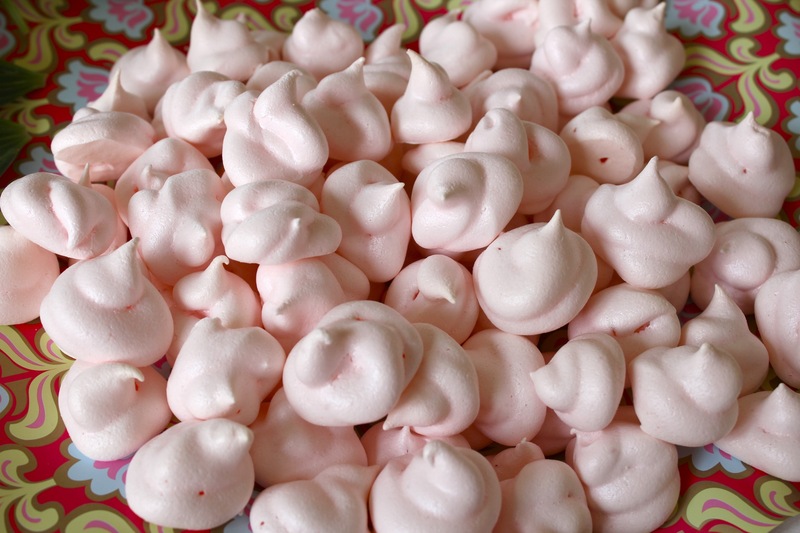 So when I offered to make a dessert plate for a 1st birthday party of one of little Heidi’s buddies I modified the rose water pavlova, and made mini rose water meringues. I’m getting better ever time, but I’m sure it takes years of practice to get them as good as mum does – it gives me something to aspire to. Preheat oven to 180°C. Line a tray with baking paper. Beat egg whites until stiff peaks form. Add caster sugar, one third at a time, allowing each third to be well incorporated so you end up with a thick, glossy meringue. Fold through the vanilla, cornflour, white vinegar and a couple of drops of red food colouring (keep adding drops until you get a pale pink colour). Spoon onto baking tray, or use a pipping bag. The size of your meringue is entirely up to you. I made small bite size meringues because they were finger food for a first birthday party. In the video tutorial I was using a very nifty ‘apparatus’ from Tupperware called Bake 2 basics Squeeze it . I was christening it in the video, hopefully I will get a bit better with more use! Place in the oven, lower the temp to 120C and bake for 10 minutes, check them at this point and then check every 5 minutes until they are hard on the outside, and very slightly brown. Turn the oven off, leaving the meringues to cool inside the oven, overnight preferably. Place cool meringues on a serving tray with a bowl of whipped cream, or join two together with whipped cream just before serving. 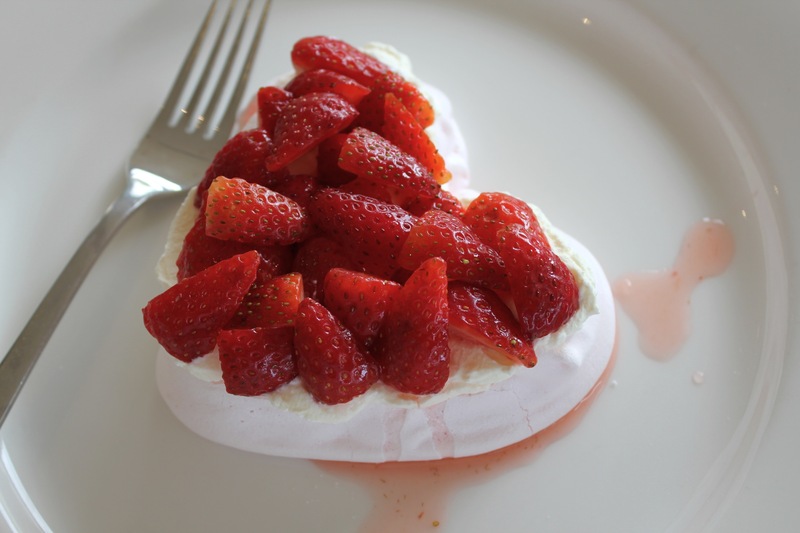 I also managed to sneak a heart shaped individual pavlova onto one of the trays as a valentine surprise. It is easier if you draw the heart onto the baking paper first to give yourself a guide to follow. Which is best topped with cream, and strawberries cut into four (sprinkled with castor sugar and drizzled with rose water and let sit for an hour or so)… then placed on top! Happy baking, and look out for all the other sweet things I will be attempting to master over the coming months. Yummy! And they look great! Thanks, they taste amazing too… I think I prefer them to a regular meringue!